Posted May 17th, 2013 by admin. Conservation physiology is an emerging discipline that utilizes physiological tools/techniques to understand the mechanisms underlying conservation problems and to use that information (and set of tools) to evaluate and develop conservation strategies. This new field studies the physiological responses of organisms to environmental changes, as a result of human alterations, that might cause or contribute to the decline of their population. Our lab has been at the forefront of defining this discipline (See review article in, and featured on the cover of, TREE) with Dr. Martin Wikelski from Princeton. At present, we have used conservation physiology to understand a fisheries crisis in sockeye salmon in British Columbia, evaluate the physiological consequences of translocation and inter-stock hybridization of largemouth bass in Illinois, and develop strategies for minimizing the sublethal consequences of recreational catch-and-release angling. All of those topics are discussed elsewhere on our lab website. Below is a brief summary of conservation physiology adapted from Wikelski and Cooke (2006). Understanding the physiological responses of organisms to their changed environments and the aspects of human influence that cause stress on them is crucial for conservation strategies to be successful. The physiological responses may include whole-organism functions such as metabolism, thermal relationships, nutrition, endocrine responses to environmental change and changes in immune parameters. These physiological and behavioral mechanisms are used by the organism to cope with stress. Stress can be classified as acute, which is short term (e.g., brought on by a predator attack), and chronic, which is long lasting (e.g., caused by long term climate change and/or starvation). Three concepts are introduced in McEwen and Wingfield’s stress model: 1) allostasis (maintaining equilibrium or constant condition, homeostasis, through change); 2) allostatic load (results from daily life activities which animals can deal with up to a limit); and 3) allostatic overload (a state in which organisms can no longer cope with external demands). Organisms can adequately cope with environmental stimuli under most circumstances. However, once a stimulus pushes an organism into allostasis overload it will need to change its physiology and behaviour to survive. Physiological stressors, human activities, social interactions and pathogens can induce allostatic overload by changing the energy balance of an organism (i.e., by reducing energy intake or by reducing digestive efficiency). Allostatic overload provides an integrated measure of various environment stressors afflicting wild animals and can thus be a useful concept for conservationists. Not surprisingly, an important part of conservation physiology involves developing tools that can be used in field environments. There is a growing interest in “field physiology” with several recent reviews on the topic. Tools available in the conservation physiology tool box include: biotelemetry, biologging, and various invasive and noninvasive techniques for assessing stress hormones, metabolite accumulation, or other biochemical alterations. There are also opportunities to combine these techniques to yield even more information. For example, our lab developed a technique for obtaining non-invasive tissue samples from telemetered fish (to see this paper, click on pdf). Once fish are released into the wild, it is possible to link physiological status with behaviour and fate. Until a general understanding of these problems is reached, physiological assessments should always be included in ongoing conservation programs. By knowing and understanding the relationship between baseline physiological traits and fitness, conservation managers may be able to predict and anticipate future problems. Physiological information derived from field research is essential to the success of conservation programs. How animals cope with the continuous change in modern landscape poses an ongoing challenge for physiological conservationists. 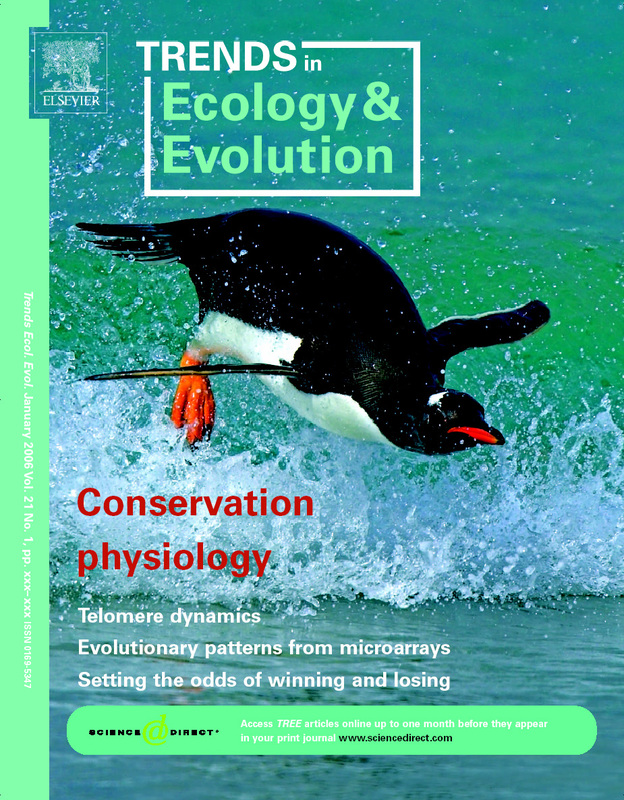 See paper “Conservation Physiology” for more information.